Segrave, K 2010 America Brushes Up, the use of marketing of toothpaste and toothbrushes in the twentieth century. Jefferson, NC: McFarland and Co; Spofford, TG Electric Toothbrush Storage Case. Patent 3287076. 22 Nov. 1966. Print. 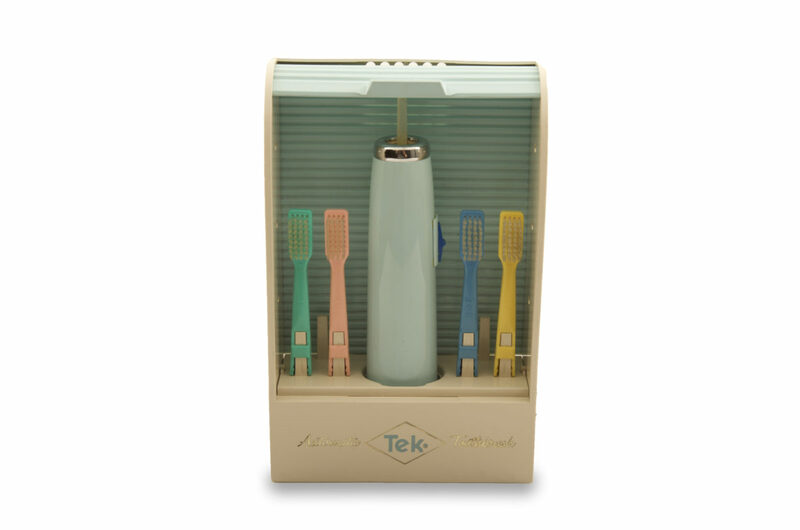 Some unique features of this Tek Automatic toothbrush (A650.3), that make it easily portable, include a box-shaped case with a slidable front cover. In addition, a brush rack, made of resilient material, can be removed easily, thoroughly cleaned, and returned to its original locked position in the case. Descriptions in T.G. 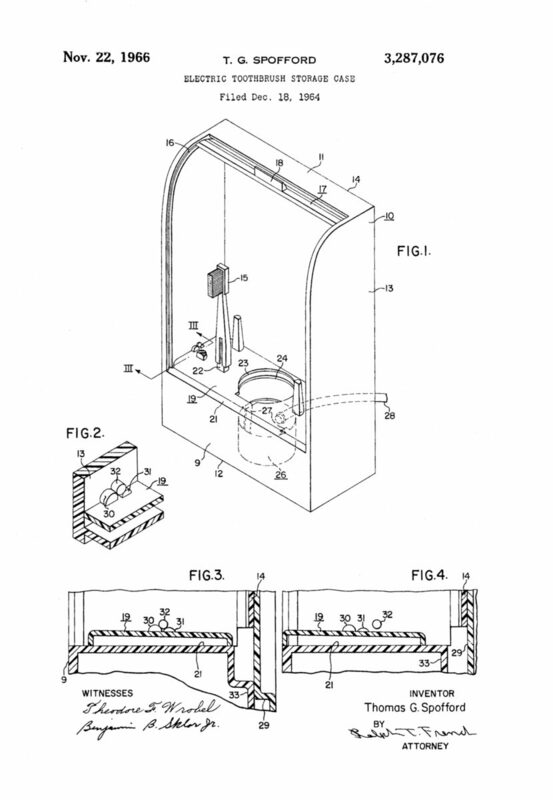 Spofford’s 1966 storage case patent for the Tek toothbrush claim it is more effective than other such cases for housing the components and keeping them clean.